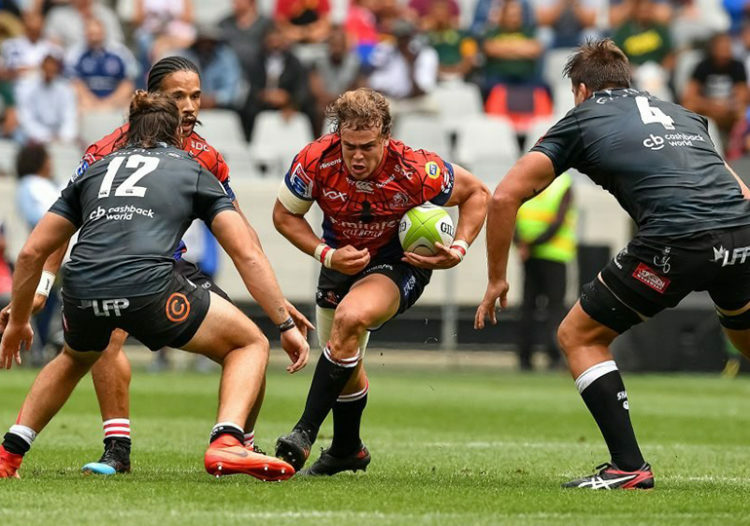 The Super Hero double-header at Cape Town Stadium pretty much confirmed what we suspected about the 2019 South African Super Rugby challenge – there is precious little between the four contenders and you pick a winner at your peril. The SA teams will be competitive, inevitably against each other, but it was difficult to see a serious challenger to the Crusaders’ title after the dust had settled on Sunday and, in this World Cup year, is Rassie Erasmus going to get the invaluable platform of a successful SA Super Rugby campaign? It is fact that Super Rugby form is a huge springboard to a successful World Cup. The All Blacks have enjoyed the momentum of the Crusaders’ title triumphs and, indeed, Jake White will tell you his job in 2007 was made that much easier by the Bulls and the Sharks dominating Super Rugby that World Cup year. Super Rugby form engenders confidence and boosts morale for the national team. So it is vital that the Bulls, Sharks, Lions and Stormers pull finger over next few months to give Rassie the best possible shot at glory in Japan come September. But, at this point, which SA team looks likely to put its hand up and lead the way? There were only a few points separating the Sharks and the Lions in the early match and ditto when the Bulls and Stormers scrapped in the later game. You could have swapped opponents and it wouldn’t have mattered. The four sides were equally handicapped by the absence of a handful of key players, mostly players that have recently returned from duty in Japan, and you got the impression that what you saw on Sunday was pretty much what you will get when Super Rugby kicks off on February 15. The Lions look like a side that is in transition after being South Africa’s standard-bearers for some time. They have lost too many senior players over the past three years. It has not helped Swys de Bruin one bit that his former colleague, Johan Ackermann, has plundered the Lions’ senior reserves for the benefit of Gloucester. The gap between the Lions and the other three teams has been closed. The Stormers, on paper, look world class, but that has been said of them for years before they predictably implode. How can a side with pretty much the Springbok starting pack underachieve so spectacularly? It can only be down to an unhappy team culture. The fish rots from the head, as they say, and you would have to say the maladministration at Western Province is accountable for the perennial failure. Sadly, it looks like nothing has changed given the bad press the union has recently suffered. It is easy to point the finger at coach Robbie Fleck but the malaise that has stricken the Stormers is way more complex than that. The Bulls have been “rebuilding” forever, it seems, but they can no longer use that excuse, even if they have had a change of coach from John Mitchell to Pote Human. They have had the same core of players for some time, and now they are steeled by excellent leaders in Duane Vermeulen, Schalk Brits and fit-again Lood de Jager. The Bulls need to produce this year, and they will surely be better than in 2018 when they finished stone last in the local challenge. If the Bulls have no excuses this year, neither have the Sharks. Most certainly not. They have had the same team for three years now and Robert du Preez can no longer utter the “we are a young team” refrain. The Sharks had patches of brilliance last year, particularly against the New Zealand teams, but were criminally inconsistent. Using Super Hero Sunday as an indicator, there’s not much to choose between the Bulls, Lions, Sharks and Stormers. But the big question will only be answered in the coming weeks – can South Africa mount a serious challenge for the trophy? The Stormers were lethal on any counter attack opportunistic and created some good tries. The Bulls bossed the game, but made a number of errors that cost them the game. With a bit more time to work on eliminating errors, they will be a good team. The Lions, even more than the Bulls, bossed the game in almost every department, but lacked the final touches to finish off a few tries. Their Achilles heel last year, their defense, seemed good for a pre-season game. The Sharks were resolute in defense, played well with the little ball they had and will learn that you cannot always win without the ball. All in all, not much can be gained from this many replacements used in games that didn’t mean much. However I think this may help SA teams see what needs to be worked on and can give us a good start to super rugby. Make a call Johan! Who will top the SA conference? Have to go with my heart (and I think experience will help) Lions to top the log again. I was absolutely delighted to read this column, because it gives an accurate and fair account of what happened. If you did not see the games you would have a good idea of what actually transpired on Sunday with the above read! I had the misfortune of reading Rob Houwing’s column earlier, on Cape Town stadium which once again drifted into a pro Stormers article. He referred to the second game as “the main event” so one must assume the Lions and Sharks are to be considered secondary teams? Then we were told that the tournament was predominantly second string players – well Mr. Houwing that was certainly the case for the Stormers, but other sides were pretty much full strength! Not done, we’re told how much better the sound system is at CT stadium. That may be the case when perched on a bicycle, on field, but the sound in the upper tiers was terrible…one hopes they fix it before Ed Sheeran in a few weeks time! Then the Gavin Rich article on Sharks Lions game highlighting “usual suspects” on both sides that made the play in the match, except Rich only discusses the Lions players and in total contrast to your and my view Mike, tells of how the Lions dominated in that game! How do these guys get away with this? Thanks Mike, some refreshing and honest journalisms! The theme of Howing’s article is about the pros of WP rugby playing rugby at the CT Stadium versus Newlands so it’s not surprising the words “Western Province” comes up. The Stormers / Bulls was billed as the main event by the organisers. So technically Howing is correct. Again not surprising given the large percentage of the crowd went to watch the Stormers. I also suggest you reread Rich’s column. I thought it was a fair reflection of the Sharks/Lions game. BTW Mike is KZN based and I could quite easily accuse him of being bias. Neither he or Rich are but leave it at that. Oh and I was at The Stadium and have been there on numerous occasions and it’s a world class facility. Oh and I had no problem with the sound and I’m pretty sure the sound will be just fine for the Ed Sheeren concert as it has been for 100 other concerts held at the venue in the past. John as ever a head in the sand Stormers man. made the play offs for the past three years! If you were indeed there, you will have noted how full the stadium was from the outset – people came for a fantastic day of entertainment and to have a look at all four teams in one place, not to just have a look at the Stormers as you and Houwing suggest! No Joh you re-read the Rich article. The title of this one is “Lions have lost their edge” which is a far cry from Riches position on the matter. Agreed CT stadium is a brilliant stadium and world class, but I am sorry the sound is not. They need to place back speakers in the upper levels and turn down the sound on the field speakers. Most concerts provide own sound, but if that’s not the case with Sheeran they’ll be in trouble! Barry I am with you on this I cringe to read Houwing and Rich is getting to be the same.Craig is a much better and more balanced read but we need more like him. I think the lions are in trouble this year. Don’t let anyone tell you they didn’t play their best players because they did whereas the sharks fielded none of Beast,Chilli,Thomas,Coenie, Botha,PvdW and Esterhuisen so you can see that lions pack will be struggling. So what did we learn from Super Hero Sunday? Not a lot if we are honest. We can comment on the Bulls recruiting, the Lions promotion of young talent, the maturing Sharks squad and Stormers coaching and administration issues. In terms of game plan there was little on offer to truly comment on. The Bulls may be a little more direct this year and may kick a bit more but they are still trying to play a high tempo and structured game. The Lions will attack where ever they can and will keep the tempo high, some young guns need to step up in the tight 5 if they are to be truly competitive. The Sharks will play their direct and physical game (if we are honest the humid sticky weather in Durban means handling isnt easy). As Mike says they need to be consistent if they are to be competitive. It will be interesting to see how both the Sharks and the Lions kick the ball. I am expecting to see far more attacking kicks, grubbers and kick-passes from Jantjies and du Preez. Rush defence can easily be unlocked by good kicking. The Stormers showed once again that they are relying on individual talent rather than any sort of cohesive game plan. They have dynamic and attacking pace out wide but there wasn’t much evidence of a pattern or plan to put the strike runners in space. Everyone knows that the teams that do well have top players at 2 (&3), 8, 9, 10 and 15. I don’t think any of the South African Super rugby teams have a ‘spine’ that is without faults or question marks. The other major question is how much will Rassies certainties play? Will the likes of Pollard, Vermeulen, Whiteley, Marx, Am ans PSDT be rested at Rassies request? Lions and Sharks have been in the play-off last three years, so reasonable to expect something similar this year! Stormers tries on Saturday were largely opportunistic intercepts, out wide. If Bulls can fix that they will beat Stormers in their first match! How much influence will John Dobson be allowed to have, would answer just how far up the ladder Stormers progress, I suspect too little! The Bulls played a Stormers team without any of their Springboks and yet still managed to win. The Bulls have managed to resurrect a dinosaur in Alan Zondagh and made him the man in charge. I think they will end bottom of the log this season. Really? If you start off by taking the Super Hero Sunday for your thinking then you are making a huge mistake. Pre-Season games MEANS NOTHING!!! I love that fact that people start writing teams off because of pre-season matches. Maybe a good idea to write this article in week 4 of Super Rugby. “But, at this point, which SA team looks likely to put its hand up and lead the way? ” huh? what? at this point, do u not realise this is a warm up game and the season only starts in 2 weeks?? How can they put their hand up if the season hasnt even started?? Could u and your biased journalist not have waited for the season to start before u start with your usual anti lions garbage. Every year it the same rubbish from unprofessional journalists, werent the lions supposed to fall from grace last year already with their new coach? And what happened? New year, same old rubbish from the media, give it a rest. and act like professionals for a change. I don’t think the Lions have lost their edge. It was the first game, they will be the top team in the group again. The rest all have equal chance to take second spot. None of those other teams really stand out. One thing you must never be uncertain of is the Lions attacking ability. They have some of the best systems in place in that department. Let’s not forget, Swys is the Springbok backline coach and he’s been around awhile. I’m picking Dobson to drag the Stormers up this year and the Sharks to fulfil their promise. 1 and 2. Sharks or Stormers. Running to hide from the Jukskei shitstorm now. No 1and 2 same useless coaches this year so more of the same. If you need a coach to drag a team of “Rassie’s Boks” up then you’ve already lost the battle. As for the Sharkettes fulfilling their promise, well my only question is what promise was that ?. Last year scraped in at No 8 on a 15 team log. But then again the less said about the Stormers the better. Finished 11th with a truck load of Boks who took their poor form into the Championship and then the EOYT. Bok coach admits failure, go figure. Lions at 5 ? I can see that egg on your face now. Cheers. How about a bet? If the Lions finish bottom of the SA log I’ll give you R50 000, if they dont you give me R50 000?